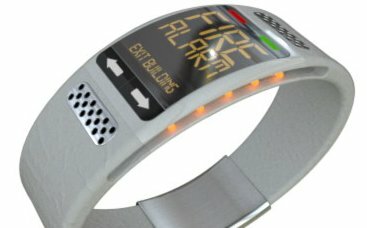 Designer Nikita Golovlev has come up with an innovative idea for a watch that could be a real life saver. 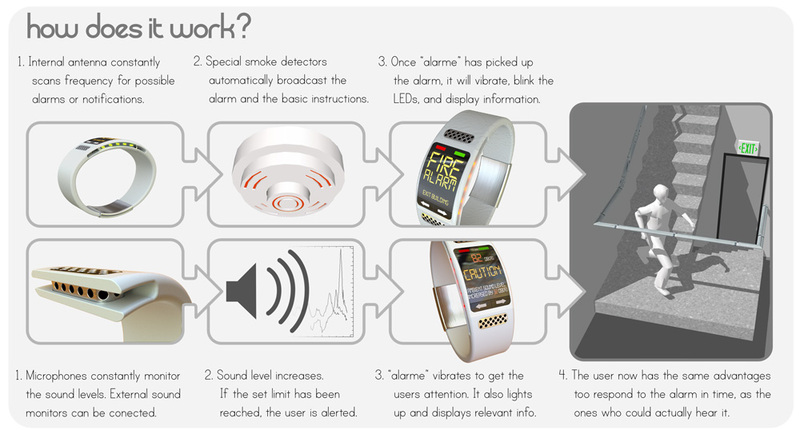 The Personal Alarm Watch will detect important events like fire alarms and alert the wearer by vibration and flashing lights. It could use an internal antenna to detect special signals given off by smoke detectors and fire alarms (this would require an expensive modification to appropriate alarm systems). As product ideas go I think this is really great and Nikita Golovlev(found via the Product Design Forums) is certainly a designer to look out for in the future (thanks Nikita for the extra images). I like the concept. Now, what about emergency vehicles? 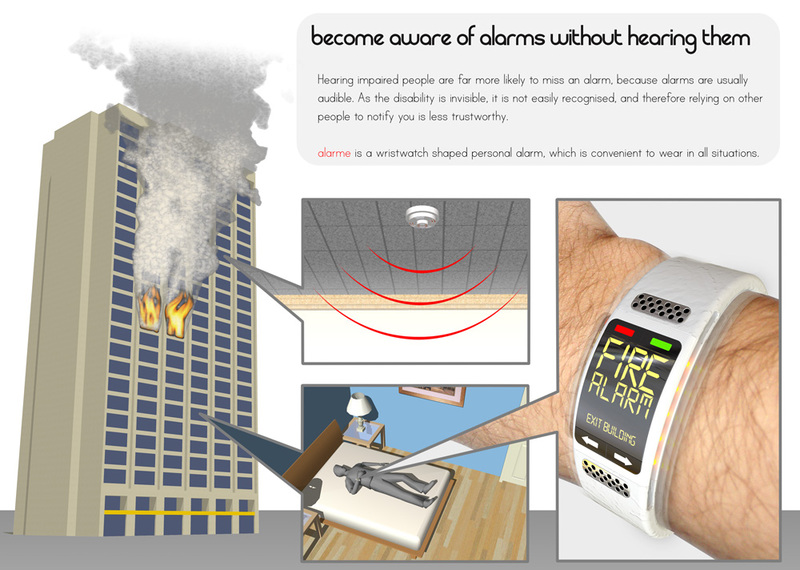 Will it warn the wearer of approaching sirens? And, will it work on cruise ships? Wow, that would be great if it did. And the area in which I live sounds the tornado alarm (the old style WW 2 alarms) whenever there is a tornado watch. Will it pick up that too? (Assuming I am close enough for the device to hear it, that is. It would be wonderful if it did. I think this is a cool idea. Definitely a life saver wondering if it is also affordable for pensioners to buy too. Where and how can i get it? I am in Chennai, South India.